AnyMusic MP3 Downloader for Mac is an easy-to-use music app that empowers you to discover, download, transfer, and play free MP3 files anywhere and at anytime. Whatever music you need, you can get it with AnyMusic MP3 Downloader for Mac. You can search online streaming websites, and get free MP3 downloads in different formats. You can also grab YouTube/Facebook video and convert them to MP3. The app comes with iPhone music transfer as well. AnyMusic MP3 Downloader for Mac allows you to discover music simply by searching songs, artists, albums or links. You can instantly access to unlimited free music from multiple music & video resources, such as SoundCloud, YouTube and Facebook. With AnyMusic MP3 Downloader for Mac, you can not only download free MP3 music directly, but you can also convert YouTube/Facebook videos to MP3 files. Both the download and conversion processes are quick and simple, and you can choose different sound qualities as required. The app also allows you to transfer free Music to iPhone as AnyMusic Free MP3 Finder also plays the role as a powerful iTunes alternative, which makes music transfer easier than ever before. You can add music to iPhone without iTunes and you will never miss a beat on your iPhone, iPad, or iPod. AnyMusic MP3 Downloader for Mac’s built-in music player also supports online streaming as well, and the advanced decoder ensures high audio quality. Overall, the app is fairly lightweight, and has a basic interface that doesn’t seem too cluttered. It is easy to use and can be navigated by users of all levels of expertise. Discover, download, and play free music as you want. Start by downloading AnyMusic for Mac by clicking the “Free Trial” button on the homepage (https://www.amoyshare.com/anymusic-mac/). Or here is a direct download link for you. To learn how to download free MP3 songs with AnyMusic, please click here to get more tutorials. 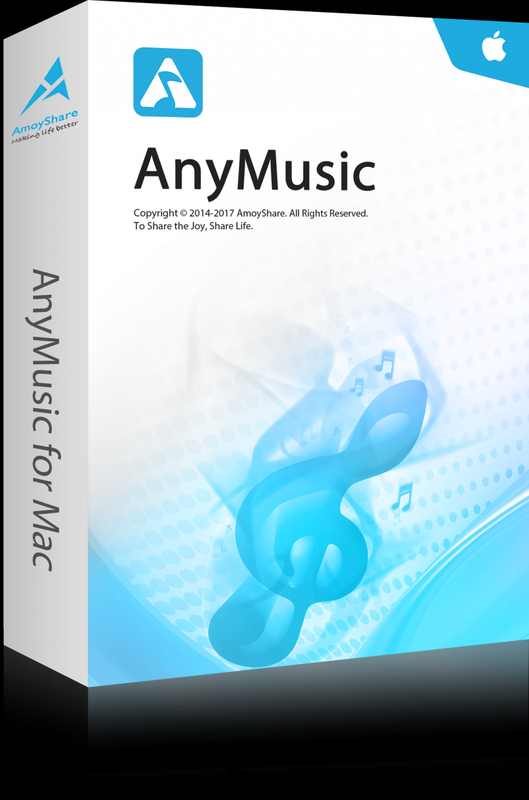 Thanks to Emma from the AmoyShare Team we are able to giveaway AnyMusic for Mac as part of our Anniversary Celebration. To get your free 6 month membership just visit the following landing page below.